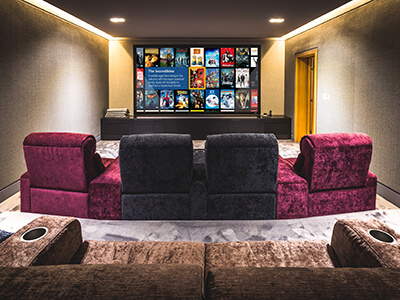 We have been installing private and commercial cinema rooms for over twenty five years and we approach each new project with the same enthusiasm, excitement and drive as our very first installation. At the center of our success is that we are all film enthusiasts. We set our standards high, know what to look for, how to achieve it and when our goals are reached. 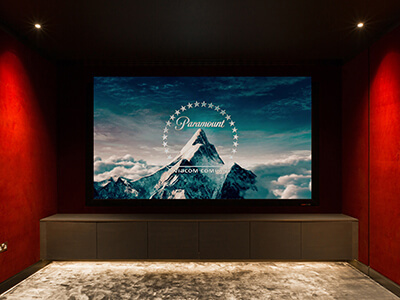 We will even take over the entire build and finishing process if required so sit back and relax and let us deliver the finest cinema experience possible.